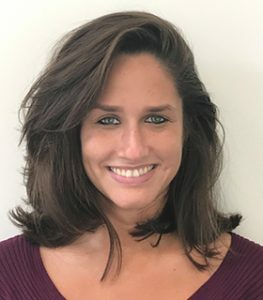 PIB Insurance Brokers has made another appointment to expand its TradeRisk Solutions team, hiring Maria Antonia De Carli as an account executive. The move follows the appointment of Nicola Salmon as an account executive last year. De Carli previously worked within the political risk and structured credit team at Aon and is based in London. Like Salmon, De Carli will have an international remit to provide political risk and structured credit insurance solutions to clients in the SME, corporate, commodity trade, banking and financial institution sectors. Her current focus, De Carli says, is on LatAm markets. “This region has a great potential, and due to its more stable geopolitical and economic scenario, it presents great opportunities for our clients.” Richard Miller, head of TradeRisk Solutions, comments on the hire: “Maria’s geopolitical and economic research and analysis will help our clients trade and compete on the global stage. Maria is well respected by underwriters and her focus on client service and delivery expands our offering and further deepens the expertise of our team.” The team’s main strategy is focusing on development as well as PIB Insurance Brokers’ presence and expansion, says De Carli. “We aim to grow nationally and worldwide and become an international reference for new clients and underwriters.” The post PIB TradeRisk Solutions expands team appeared first on Global Trade Review (GTR).